Lakewood community/Tennessee lakefront properties: lakefront property at Lakewood sold! Just wanted to notify our readers that this property at 100 OakRidge road in Lakewood has sold. We featured this property in an earlier post. This property was a real buy at the list price of $279,900 but just sold for $275,000. 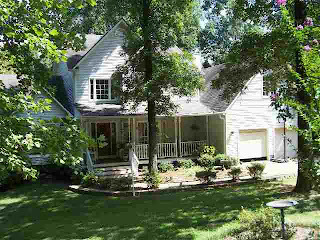 If this house got away from you, please call me as there are others who are thinking about listing their Lakewood home. If you are a homeowner in Lakewood, please let us know if you want to sell your lakefront property. The demand is there and there will not be a better time to sell. Also, the reason so many people are reading this blog is because the search term Tennessee lakefront properties searched on the search engines brings this blog up number one on MSN and number 7 on Google. We have many many repeat visitors who are looking for lakefront properties.